Here’s one for you to try! 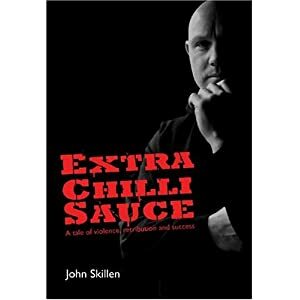 This is a clip of John Skillen – author of the superb “Extra Chilli Sauce” – performing a triple clap press-up (one of which is behind the back). PS Be sure to check out his book too! Me and a couple of other lads made the trip down to Loughborough yesterday to train with John Skillen's group. A nice venue and an inclusive, friendly bunch of people. The theme of the session was pre-emptive punching and the coaching was very pragmatic and positive and delivered with a healthy dose of humour. I've got John's book and it was great to meet the man in person. If you get the chance to train with him (and I believe he runs these sessions on a regular basis) then I highly recommend you do. We'll be going back soon.